I’ve received copies of two new albums I played on this week, both of which remind me of the important role good record labels play in music making. When my first album, ‘Beautiful Twisted’, got picked up by Camera Obscura Records in 2001, Tony Dale at the label put me in touch with another band he worked with – The Iditarod. He knew I was interested in playing shows in the US and thought that Jeffrey, Carin and co. would be good people to connect with. Jeffrey promptly organised a tour of the American northeast and Canada for us to do together and this tour was a life-changing experience for me, giving me the bug for touring and collaborating. Whilst on tour, and in the week we spent together afterwards, a number of recordings were made. Some of those became a collaborative album ‘Yuletide’. 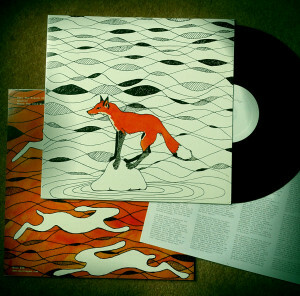 Others that I’d forgotten about are collected on ‘Foxfur and Rarebits‘ – the vinyl collection of Iditarod rarities I received from Morc Records this week. 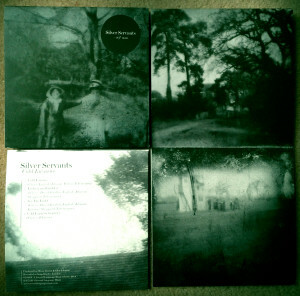 As well as this blast from the past, I received the Silver Servants album, which is out on Second Language, the label that released my most recent album. When I started working with Second Language I was invited to join the extended Silver Servants lineup and spent an enjoyable day recording together with Glen, David, Ollie and co. It felt nice to be part of a record label ‘family’ again. Financially it may make less and less sense for musicians to work with record labels these days. Being part of a community in the way that happens when you work with a label that loves your music is something I treasure, though. 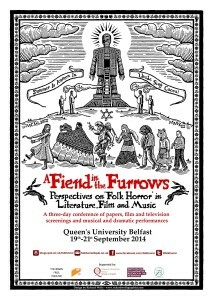 I’m very excited to be speaking at A Fiend in the Furrows at Queen’s University Belfast next month. The programme looks excellent, including papers on Arthur Machen, M.R. James, Aleister Crowley, ‘Children of the Stones’ and Angela Carter, as well as film screenings and performances. I’ll be talking about what it is that thrills us when we watch a film like ‘The Wicker Man’, listen to dark folk songs like ‘The Ballad of Tam Lin’, or read mysterious or magical tales. I’ll also be performing together with old friend Clare Button.